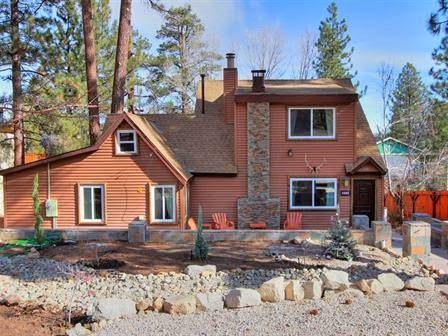 Gold Rush Resort Rentals Blog: Beautiful new cabin "Boulder Bay Escape"
Boulder Bay Escape is a gorgeous 3 bedroom home located in Big Bear Lake just one block away from the lake. When you first walk in you will enter into the dining room with a fireplace and a wet bar. Just threw the dining room you will enter into the living room where you will have another fireplace and T.V and couch and love set. 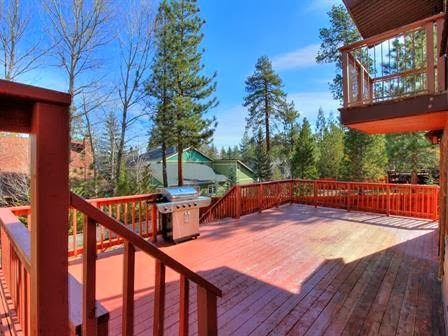 Out the back door there is a large porch with a BBQ and out door furniture for the perfect backyard summer BBQ. 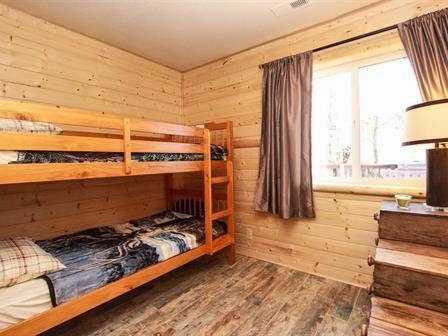 One of the two down stairs bedrooms is great for the kids with a set of pine bunk beds! 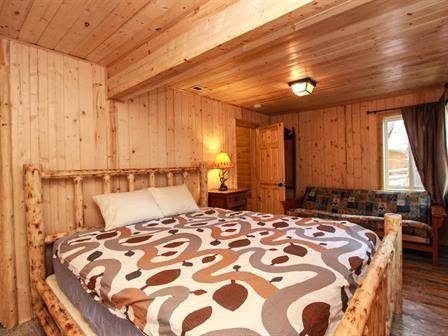 As the other downstairs master is equipped with a brand new tempur-pedic king bed with a queen futon also! 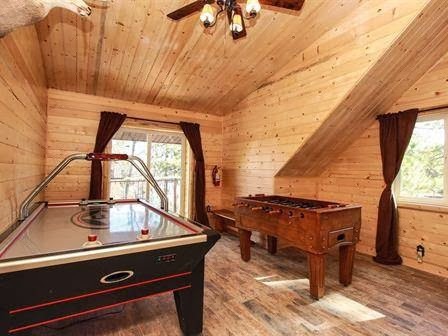 When you enter the upstairs you will be entering to the game room that offers a professional air hockey table and a Foosball table and T.V with PS3, Wii and Netflix. Just pass the game room you will be coming in to the grand master with a tempur-pedic king bed with a fireplace and a flat screen T.V! 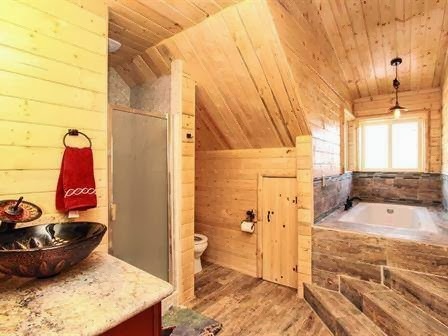 The bathroom will feature a Jacuzzi tub! Boulder Bay Escape is an amazing home that offers great amenities for everyone! 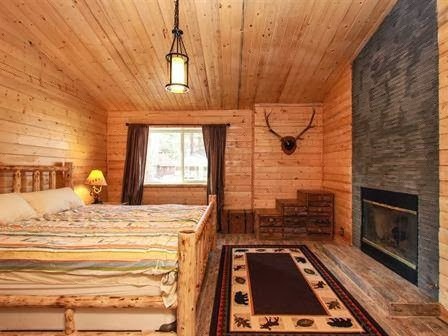 In the winter the kids can even enjoy the small hill that the land offers for a private sledding hill! !